Why is there grass on the little dog side and not on the big dog side? There was grass on the big dog side when the park was new, but it got destroyed from all the activity, so the board at that time (the old board) chose to put wood chips in instead of leaving it dirt. 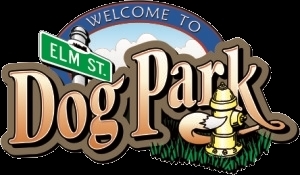 The dog park is at Elm Street Dog Park , 1221 Ash St, Arroyo Grande, CA. How big is the dog park? 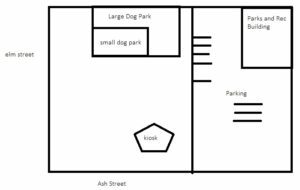 The dog parks are reasonable sized so that dogs can have their own space but, at the same time, play with other dogs. What amenities does the dog park have? How can we share our comments and questions? There are cost to running and maintaining the park. The park is run and maintained completely by volunteers and is not funded by the city or any other government entity. We rely completely on the donations of our supportive community. That being said, there is no cost to the use of the dog park. Puppies under 4 months of age should not be brought to the dog park. At this young age, they have not received all of their vaccinations. They should be kept away from the dog park for their own protection and that of other dogs. There are so many ways to help. From picking up a broom (Available at the park for everyone to use) to contributing money (For details see the top of the page. Can I bring food and drink into the dog park? No. Food and drink are not allowed in the dog park as it can prompt aggressive behavior between dogs.